Hey guys, Pawnina here! We’re just a few days away until the eve of Christmas. So, the holiday tradition for many begins with the early dawn mass or Misa de Gallo on 16th of December! 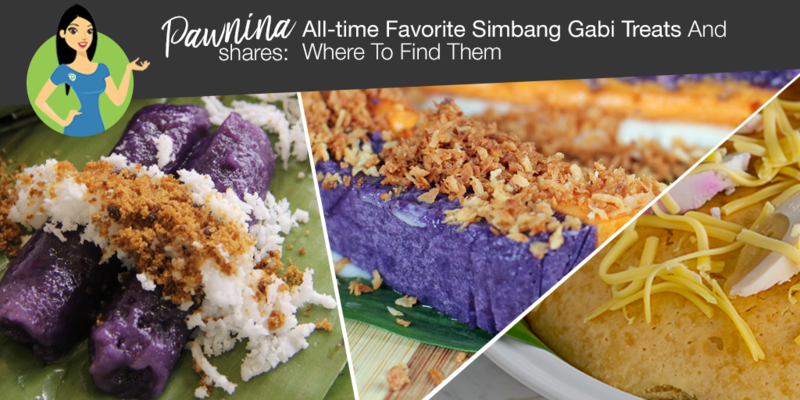 What’s to look forward after the Rooster mass are all-time favorite Simbang Gabi treats! These native delicacies are a staple outside cathedrals and are just perfect to keep our tummies warm before dawn breaks. Now, if you want to have a taste of Christmas from these proudly made pinoy traditional delicacies, then we list down a few places where to find them around the Metro. One of the most popular Misa de Gallo eats is the purple colored glutinous rice oozing with gooey sweetness from the perfect coat of melted butter/margarine, muscovado sugar and grated fresh coconut. This steamed rice cake in a small bamboo tube is warmly served and is burp-worthy on your bellies! Benny’s at Rustan’s Makati. One order at Benny’s costs 60 pesos. 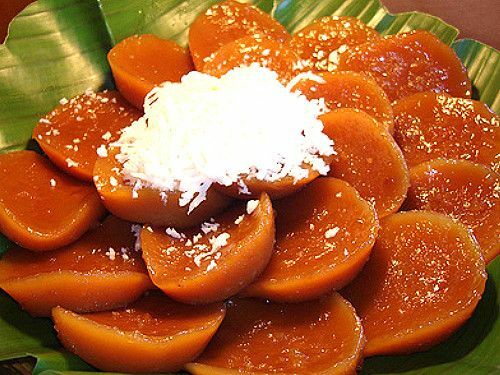 Cabalen’s Mangan - Puto bumbong with grated coconut, margarine, and muscovado sugar (P95). 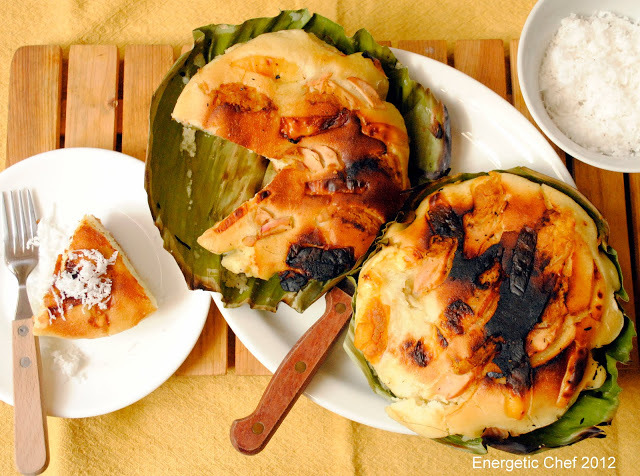 Another all-time favorite is the popular Bibingka. And various provinces in the Philippines have their own take on the rice cake. But one can always know it’s a Bibingka as it is traditionally cooked in clay pots lined with banana leaves. It’s soft and sticky and lovely to chew especially when it’s fresh out the oven or clay pot. Via Mare’s Bibingka with Laguna Cheese and Queso de Bola (P160) is served all year round. Ferino’s Bibingka started in October of 1938 at Juan Luna Street in Tondo, Manila. Now, with a number of branches spread across the Metro, you are sure to bring home Bibingka Extra Super with salted egg and kesong puti (P125), or a box of Bibingkinitan mini bibingka delicacies (P120 for a box of 6). Budbud is the Visayan Suman. It is a tasty Filipino sticky rice/purple rice/millet/cassava dish that is cooked with fresh coconut milk, then wrapped and steamed in banana leaves. Maribel Van Hoven’s Budbud Gourmet claim they make the best budbud in the world. They serve 16 flavors these gastronomical Philippine traditional dessert. Options include the plain budbud kabog at P35 each or millet seeds cooked with coconut milk and sugar, plus a variation of the budbud kabog with coconut sugar at PHP 40 each. Among the flavors are budbud mangga, budbud langka, budbud ube-langka, and many more to your taste buds’ delight. You can find Maribel Van Hoven’s Budbud Gourmet at the Legaspi Sunday Market (Herrera St. cor Legazpi and Salcedo V.A. Rufino St, Makati, Metro Manila) and at the Salcedo Saturday Market (Jaime C. Velasquez Park, Salcedo Village, Makati, Metro Manila). Biko, locally known as malagkit, is a Filipino rice cake made from sticky rice , coconut milk, and brown sugar. Basically, color brown and really heavy on the tummy. 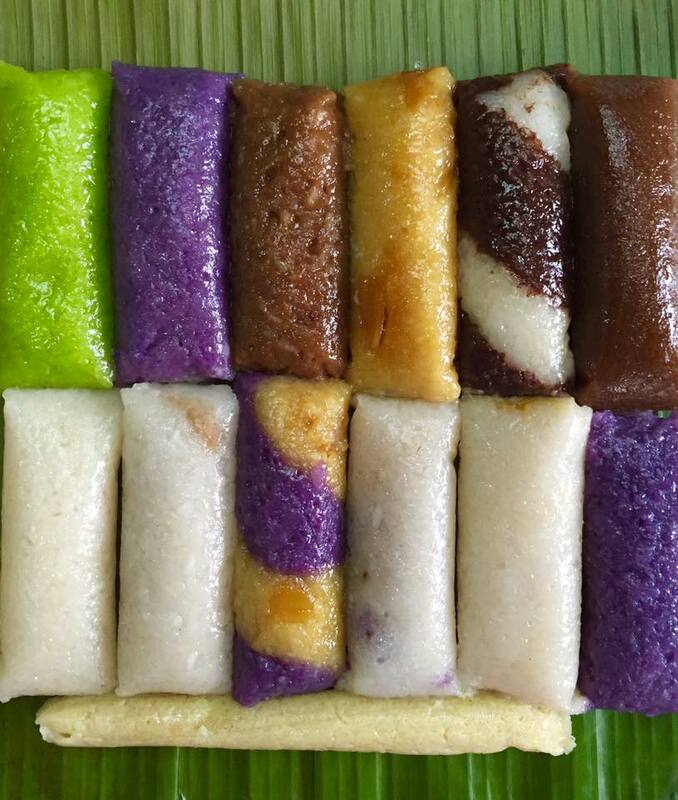 This is sure to satisfy your cravings for Pinoy desserts. 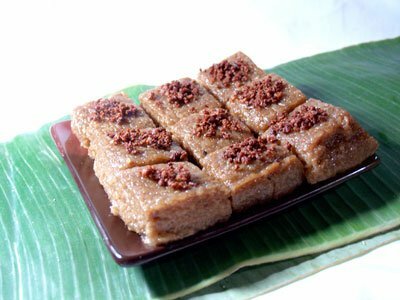 Sally’s Homemade Kakanin serves the ever popular Biko for those who like a taste of Pinoy Christmas delicacies. 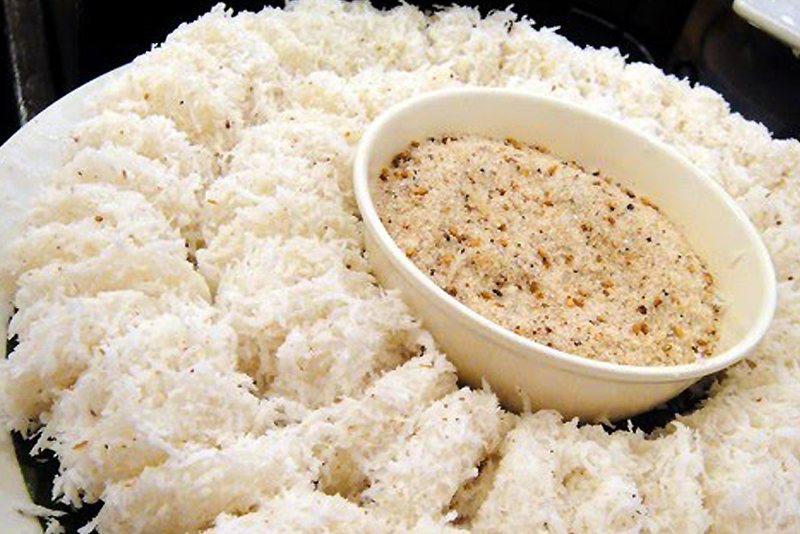 Puto kutsinta or kutsinta is a type of steamed rice cake found throughout the Philippines. It is made from a mixture of rice flour, brown sugar and lye, enhanced with yellow food coloring or annatto extract, and steamed in small ramekins. Basically they look like small sticky brown rice cake. While Puto is a kind of steamed rice cake in the Philippine cuisine. It is usually eaten as a merienda – a light meal or snack and sometimes of various colors to be treat for the eyes. Sapin sapin is a layered glutinous rice and coconut dessert that’s made from rice flour, coconut milk, sugar, water, and coloring with coconut flakes sprinkled on top. Palitaw is a flat white rice cake, cooked in boiling water until they float and appear on top; that is how its name was derived they show and float. This delicious Simbang Gabi treat is usually dipped in grated coconut and topped with sugar and sesame seeds and tastes so good you always ask for more. These delicious after mass treats comes best with Kapeng barako, hot chocolate or salabat (Ginger Tea). If you want hot bowls, then you can always for the popular Arroz caldo (Rice Porridge) and the Papaitan (Bitter Goat Stew).